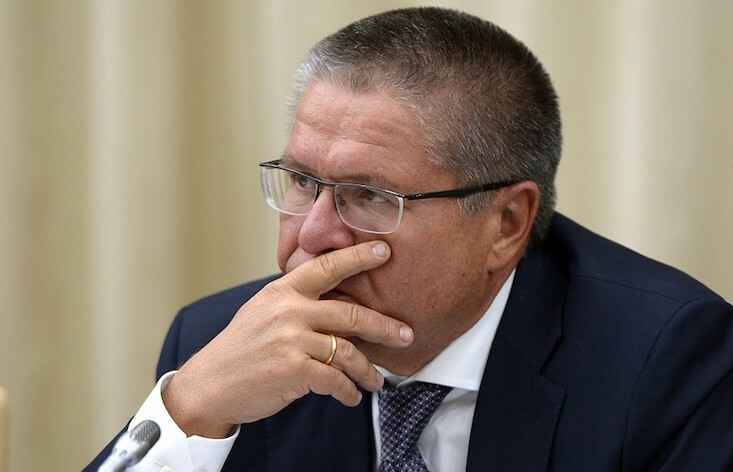 The trial for corruption of former economic development minister Alexei Ulyukayev is one of the most high-profile such cases in modern Russian history, and it has taken a literary turn as it comes to an end in a Moscow courtroom. In his powerful last words on Thursday, Ulyukayev condemned the Russian authorities and made at least half a dozen literary references, from Socrates to Bulgakov. He will be sentenced on 15 December. Ulyukayev is accused of personally accepting a $2 million cash bribe (delivered in a suitcase) from Igor Sechin, the powerful head of oil giant Rosneft, allegedly to allow Rosneft to acquire oil producer Bashneft. He denies the charges. Prosecutors have asked for a 10-year sentence for the 62-year old Ulyukayev, who has had a long government career in economic management and is also a published poet. Explanation: Ulyukayev is talking about Sechin, who allegedly handed him $2m in a carefully planned sting operation. Sechin was a key witness in the case but repeatedly refused a court summons to give evidence at Ulyukayev’s trial. The mention of the “smell of sulphur” appears to be a reference to Bulgakov’s Master and Margarita, in which the Devil comes to Stalin’s Moscow. In the novel, when Margarita first meets Woland (assumed to be the Devil), the room is full of a strong sulphurous smell. Sulphur is traditionally associated with witchcraft. Explanation: Again, Ulyukayev is referring to Sechin, this time via Tynyanov’s 1928 novella Lieutenant Kije. Based on an anecdote from the reign of Emperor Paul I, it is a satire on bureaucracy that sees a mythical officer created by the slip of a pen. Amid muddle and intrigue, Lieutenant Kije has a rollercoaster career, an affair and eventually dies and is buried (in an empty coffin) with full honours. Sergei Prokofiev wrote the score to a 1934 film about the same story. Explanation: These are the most famous lines written by 16th century English poet John Donne, also used by writer Ernest Hemingway in his novel For Whom the Bell Tolls about the Spanish Civil War. Explanation: Ulyukayev is talking about himself using words attributed to Stalin in Rybakov’s novel Children of the Arbat set in the early 1930s. There, the quote is preceeded by the observation that: “death resolves all problems.” Many erroneously think the phrase was actually uttered by Stalin himself. - And if there’s no gold there? What else do you think could have been in that heavy case, apart from money? Explanation: Much of Ulyukayev’s trial focused on an argument over the suitcase filled with $2 million in cash given to Ulyukayev by Sechin. Ulyukayev maintained he thought the suitcase contained wine, while prosecutors argued he knew it was a bribe that he himself solicited. Here, Ulyukayev compares the prosecutor’s position to an incident in Ilf and Petrov’s book about man-on-the-make Ostap Bender where they are temporarily convinced their target has hidden his gold inside dumbbells, so they steal the weights and saw them open (only to find there is no gold). Explanation: Vyshynsky was a notorious Stalinist-era prosecutor, known for his hysterical speeches and working on political trials. But this references an incident in 1820 when poet Vasily Zhukovsky presented his then-student, Alexander Pushkin with his own portrait with the words “to the victorious student from the vanquished teacher”. Pushkin went on to become Russia’s most celebrated poet. Explanation: The Castro quote here requires little clarification, but the reference to the mills of God is more interesting. A proverb in itself, the phrase was apparently first used by Ancient Greek writer Plutarch in the 1st century, but, more recently, it was featured by detective writer Agatha Christie in her novel Hercule Poirot’s Christmas. It is uttered by a character when they see the corpse of murder victim Simeon Lee, who was killed at his Christmas party after leading a vindictive and evil life. Explanation: This is an adapted version of what Socrates apparently said in his trial in Athens in 339BC on charges of corruption and impiety. It is taken from Plato’s Apology, where he relates Socrates' defence. In the end, Socrates was found guilty, sentenced to death and executed by being made to drink poison.